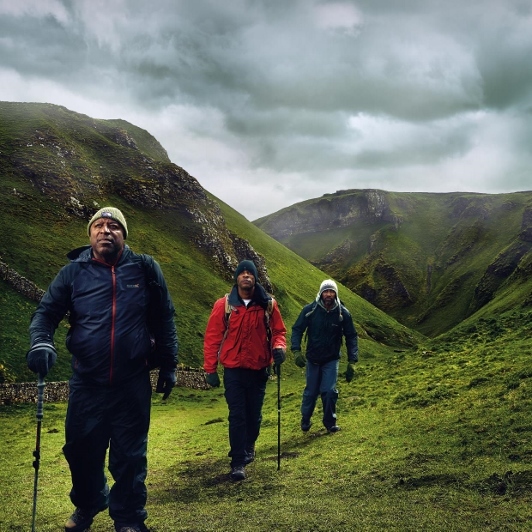 A real-life black men’s walking group based in Sheffield has inspired the play Black Men Walking at the Royal Exchange Theatre, in St Ann’s Square Manchester, 18 January – 3 February. 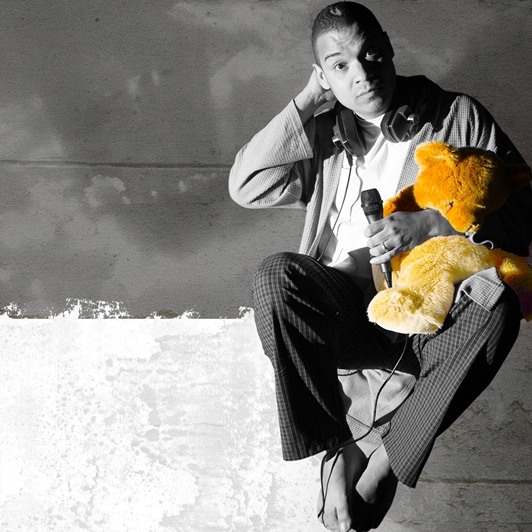 Black Men Walking was conceived by Eclipse Theatre in collaboration with Leeds-based rapper, singer, producer and performer Testament and is a co-production with the Royal Exchange Theatre. 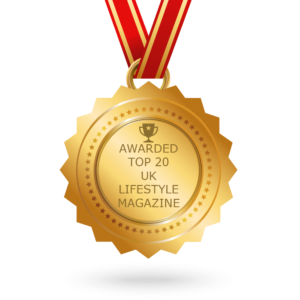 Thomas, Matthew and Richard meet every month as part of a walking group to explore the dramatic landscape of the Peak District, Yorkshire. On this particular trip, the rest of group cancels and it soon feels like maybe they should have done too. The men find themselves forced to walk backwards through two thousand years of Black history, embarking on a dangerous journey that invokes an element of the supernatural, an encounter with the spirits of their ancestors and an exploration of what it means to be both Black and British today. A rising star in the theatre landscape, Testament was most recently acclaimed for his one-man show about feminism, Woke, which fused powerful first-person narrative with his signature beat-boxing and rapping. The walking group which inspired the production was founded in 2004 by a group of men of African and African-Caribbean heritage who started walking for health, wellbeing and camaraderie. The cast includes Tyrone Huggins as Thomas (The Tempest – Improbable/Northern Stage/Oxford Playhouse) Trevor Laird as Matthew (One Man, Two Guvnors – National Theatre) and Tonderai Munyevu as Richard (Sizwe Banzi Is Dead – Eclipse Theatre Company / Young Vic co-production). Completing the cast is Dorcas Sebuyange (Hayleigh in The Elasticated Sound System – 20 Storeys High). 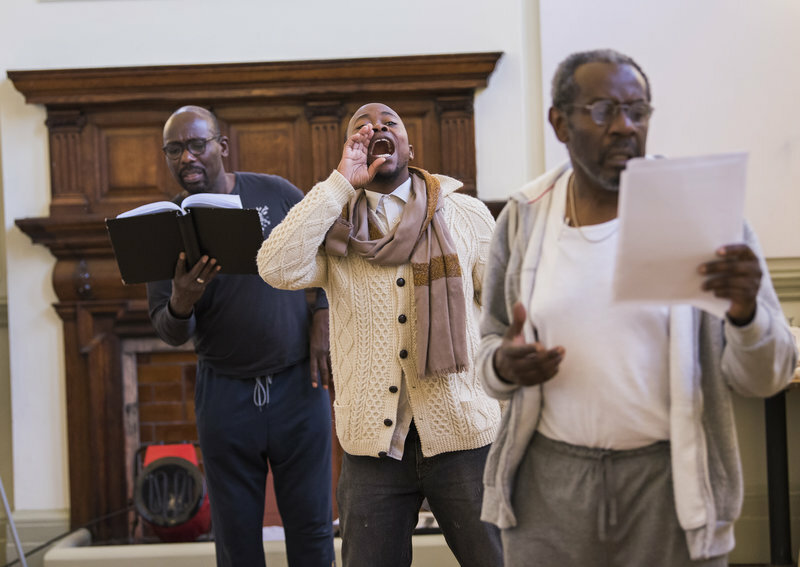 Black Men Walking, the first work to be staged as part of the company’s ground-breaking Revolution Mix movement, will deliver the largest ever national programme of Black British stories produced and performed in UK theatres. 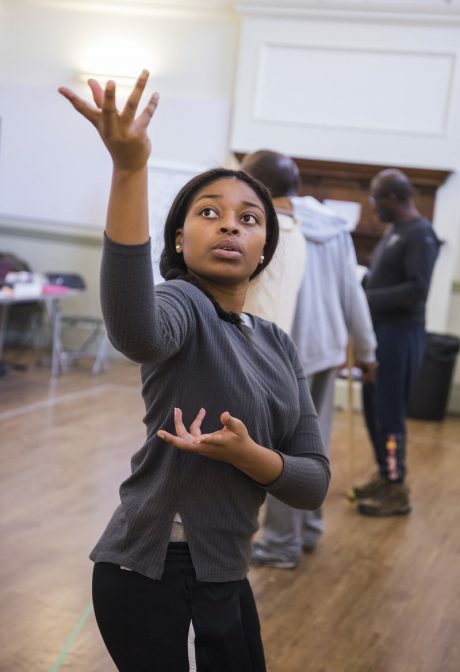 Eclipse Artistic Director Dawn Walton said: “This powerful story perfectly encompasses everything the Rev Mix movement stands for; turning the spotlight onto Britain’s missing Black history with a piece inspired by real people and real events. “It is so important that these stories are told, especially when you look at the recent online backlash faced by Mary Beard who was accused of ‘re-writing history’ by pointing out the ethnic diversity of Roman Britain. This reaction is evidence of a real lack of understanding about our true British heritage. Open a history book and you’ll see that the Roman empire, Britain included, featured people from Ethiopia, Algeria and beyond. “One of the earliest influences for Revolution Mix was Peter Fryer’s seminal book, ‘Staying Power’, which unearths a compelling history of Black people in Britain over the last 2,000 years. 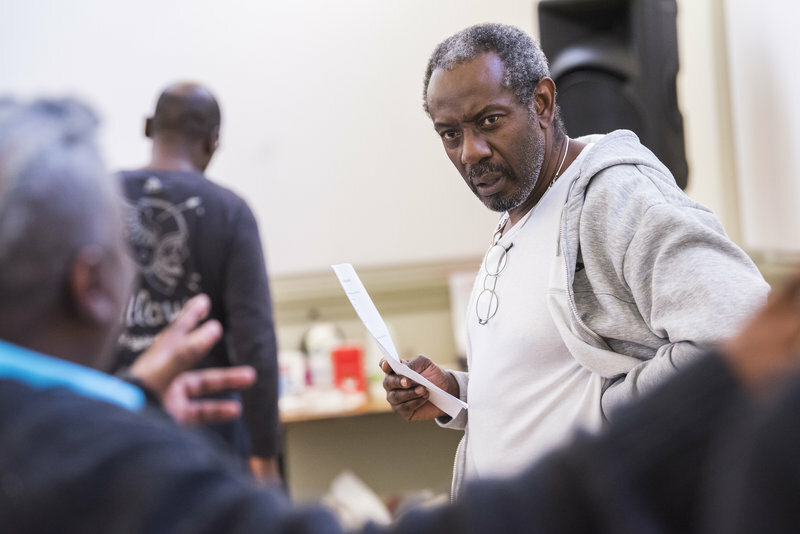 “The opening line of the book is ‘There were Africans in Britain before the English came here.’ That one statement is so wonderfully provocative and for me, it set the wheels in motion for us to produce a body of work that will bring to stage and screen an erased history. Tickets for Black Men Walking until 3 February 2018 at the Royal Exchange Theatre are available here. It will then embark on a UK-wide tour including Belgrade Theatre, Coventry; Northern Stage, Newcastle; West Yorkshire Playhouse, Leeds; Hull Truck Theatre; Nottingham Playhouse; The Arnolfini, Bristol; Theatre Clwyd, Mold; Royal Court Theatre, London; Crucible Theatre, Sheffield; Salisbury Playhouse; The North Wall, Oxford and Unity Theatre, Liverpool. 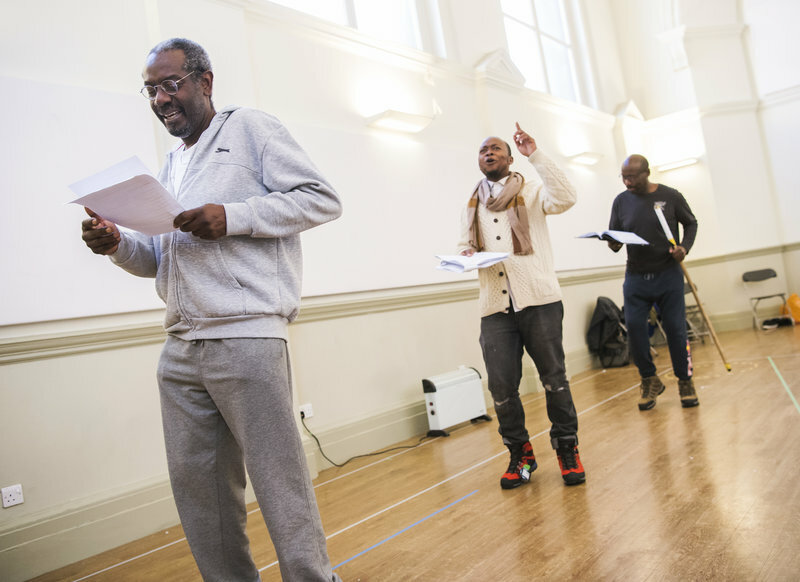 Photographs of Black Men Walking in rehearsal by Tristram Kenton.